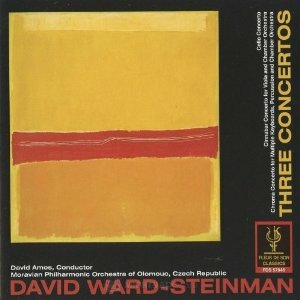 Discography - David Ward-Steinman, D.M.A. Most of David's recordings are available at Amazon.com. Click below to see titles available for purchase from this vendor. Additional links are provided with the descriptions below. 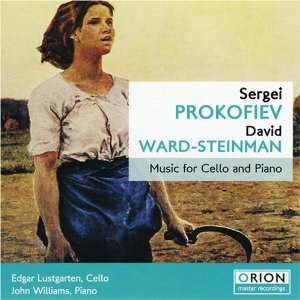 Release (2013): The music of David Ward-Steinman, conducted by David Amos and Donald Barra and featuring the Moravian Philharmonic Orchestra (Czech Republic), San Diego New Music Ensemble, Jonathan McMurtry (narrator), and the California Ballet Orchestra. Album design by Korey I. Downey. (Peter Jacobi, in the Hoosier Times, Feb. 24, 2013: "Five of his pieces, each quite different from the others, have found their way onto "Western Orpheus and Other Works," an at-all-moments interesting, sometimes surprising combine. Western Orpheus "dances, even without dancers," and The Tale of Issoumbochi, for narrator, soprano, and small ensemble, is "charming." Cinnabar was featured on Composers Datebook most recently on June 15, 2014. 1–3. Cello Concerto. Howard Colf, cello. Long regarded as one of Australia's greatest-ever jazz musicians, Tony Gould on this recording is joined by American David Ward-Steinman and the result is music-making of continual excellence. 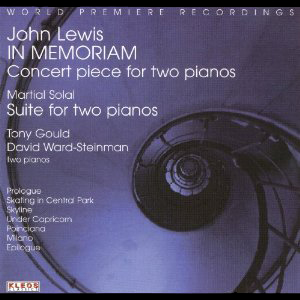 Leon Gettler of "The Age," Melbourne, Australia; April 5, 2007, observed: "Gould, one of Australia's finest pianists, teams up with American composer Ward-Steinman, the closest thing the music world has to an intellectual." Featuring the compositions of David Ward-Steinman, Paul Turok, Norman Dello Joio, Henry Cowell, and Paul Creston, performed by the City of London Sinfonia and conducted by David Amos. David's Concerto No. 2 for Chamber Orchestra is featured as the first cut on this CD. David Ward-Steinman’s composition, Fragments from Sappho, has been reissued on CD by New World Records, NY. Originally released on LP in 1969, it featured Phyllis Curtin (soprano), Samuel Baron (flute), David Glazer (clarinet), and David Ward-Steinman (piano). The CD also includes songs by Ned Rorem. Recorded 1967–68; reissued 2010. Anthology of Recorded Music, Inc. Click here for review. 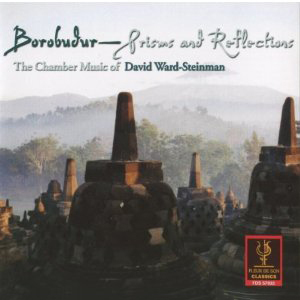 Recorded live on April 2, 2000 at The Art Center, San Deigo, California, featuring the music of David Ward-Steinman's Voices From the Gallery, Freidrich Kuhlau, Paul de Wailly, and Maurice Ravel. Presented by the chamber music ensemble "Camarada," conducted by John Lorge. Ward-Steinman's Lullaby for Iluka is included on this album by Imogen Manins (cello), Tony Gould (piano), and David Jones (percussion). Recorded in 2007 in Melbourne Australia at Move Record Studios.